Updating your modular home can be as easy and inexpensive as paint and lighting. If you’ve been living in your modular home for a while, you may be thinking of ways to jazz up and customize the interior. Of course, you could hire an interior decorator to gather some ideas to utilize your space while keeping everything feng shui. But it is much more affordable (and fun) to do it yourself. Here are a few ideas to start inspiring you to decorate and organize your new modular home. One of the newest trends in modular home décor is painting your wood or laminate flooring. Painting a stenciled geometric pattern can add pizazz and charm to your modular home. The key to having your floor turn out like the designer versions is to be exact. Check the placement of your stencil a few times before marking and don’t be surprised if you have a few touch ups to complete afterwards. 2) Shelving, Shelving, and More Shelving! The best way to save space and create depth in a room is to add shelving. You can make your own rustic shelving with just a few pieces from your local hardware store. Place a decorative piece on some shelves as well as baskets or jars for knick-knack storage. Your walls will quickly become a beautiful artistic showpiece that will have your visitors talking. 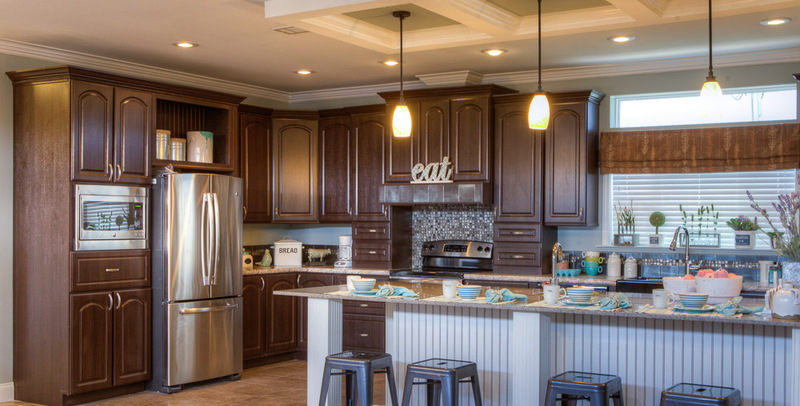 If you’ve been looking for ways to update your modular home, Palm Harbor has three easy and inexpensive ways to update your home. If you are looking for a quick way to brighten any room in your modular home, consider a fresh coat of white paint. White will reflect the light more effectively, which will give the illusion of a brighter and larger room. Many homeowners are turning to white paint instead of expensive installed track lighting to bring some needed light into their space. 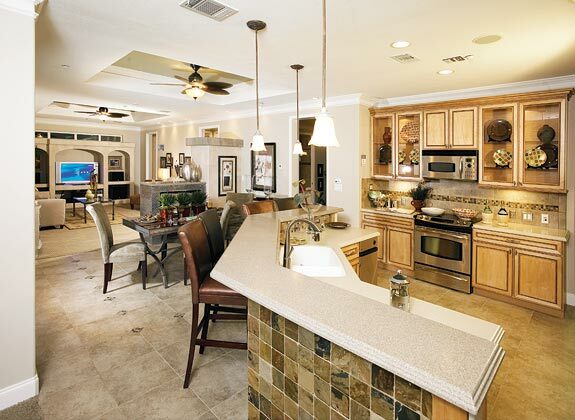 If you are thinking about purchasing a modular home, contact us at Palm Harbor Homes. Call 1-888-466-3718 to speak to one of our friendly modular home experts. We are happy to assist you in creating your perfect modular home.